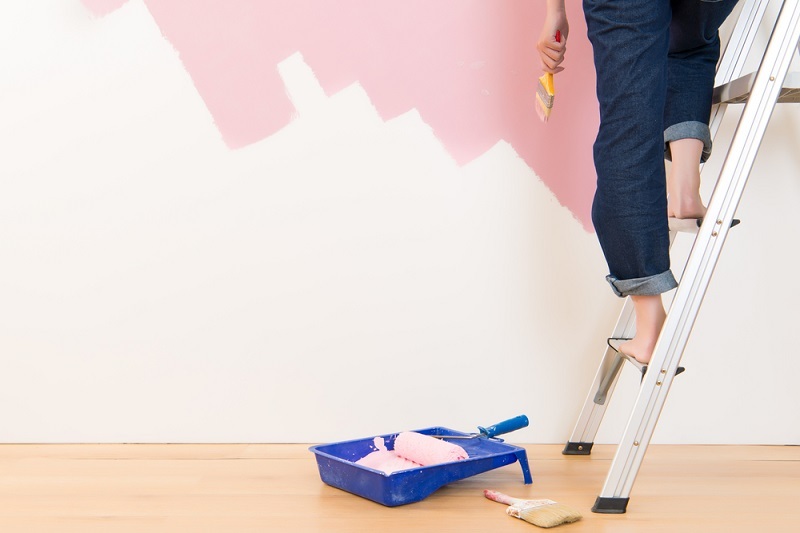 You might find yourself wondering from time to time if you should repaint a certain room in your house. It might be starting to look faded, dirty, or dingy. How often you should repaint a room depends on certain factors such as what type of room it is and how often it is used. If you have decided to begin repainting your home, you should focus on rooms that get more use than others. While your living room might be one of the most used rooms in your home, it actually probably doesn’t need to be repainted very often. While you may spend a lot of time in here, living rooms tend to be focused on relaxing. As a result, the walls in your living room probably aren’t subject to as much wear as they are in other rooms. For adult bedrooms, you probably don’t need to repaint very often – only when you want to update the look and style of the room. Adult bedrooms don’t tend to see very much activity throughout the day. On the other hand, children’s bedrooms should be repainted every few years, and should be painted with a color that is very easy to clean. Children’s bedrooms are used very frequently and are often much more susceptible to wear and tear. Bathrooms are one of the most used rooms in every household, and moisture and humidity do their part to damage the paint in these rooms. Bathrooms should be repainted every three to four years with a water-based paint in order to keep the walls looking vibrant. Lastly, kitchens are very high-traffic areas that are likely to get dirty over time. Repaint your kitchen with a pearl or satin finish every few years to keep your walls looking their best. Feel free to contact Noel Painting with any further questions or concerns regarding your home’s interior paint.